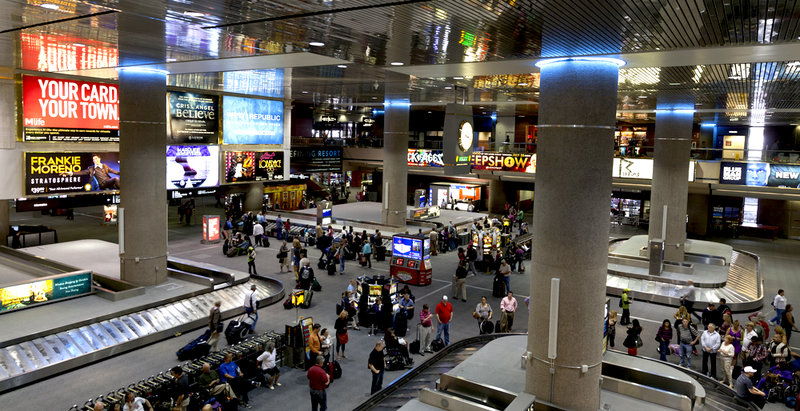 What's the Worst Airport Terminal In America? Air travel, once the pinnacle of style in America, has evolved into a fluorescent-lit, crumb-strewn hellscape of stinky carpets, underpaid and overworked employees, and fights between drunk racists and tall people. It's easy to claim your local terminal is the worst, but which of America's many airport terminals is truly the Worst? Yesterday, Vice President Biden and New York Governor Andrew Cuomo launched a design competition to improve the state of NYC's airports after Biden dissed La Guardia last year. But are NYC's airports really so bad? We want you, the people, to tell us what airport terminal is truly the worst in the United States. We'll round up the entries and let you vote later this week.